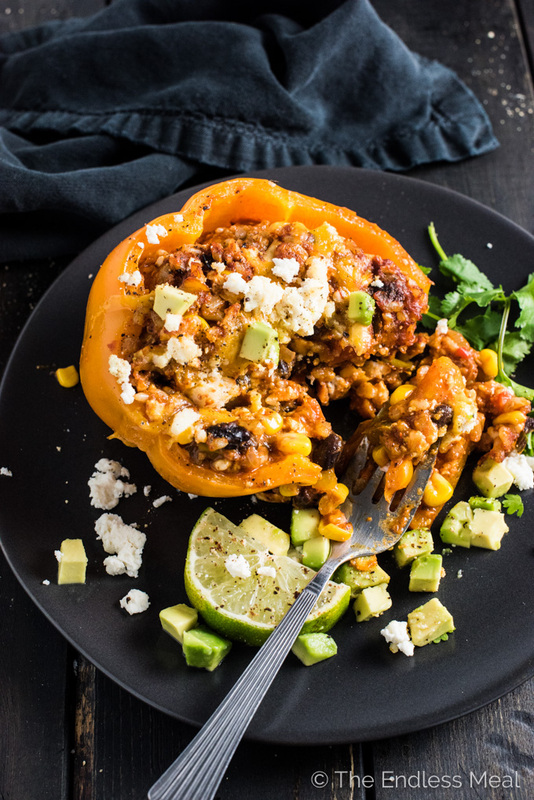 These delicious Vegetarian Enchilada Stuffed Peppers are made with brown rice, corn, and beans smothered in enchilada sauce and stuffed into colorful bell peppers. 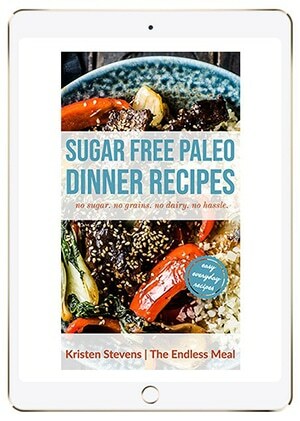 They are an easy to make and healthy dinner recipe that is naturally gluten-free and can easily be made vegan. How to fall in love with healthy eating January: smoother sauteed onions, garlic, corn, beans, and rice with red enchilada sauce, stuff in peppers, sprinkle a little cheese and bake bake bake. 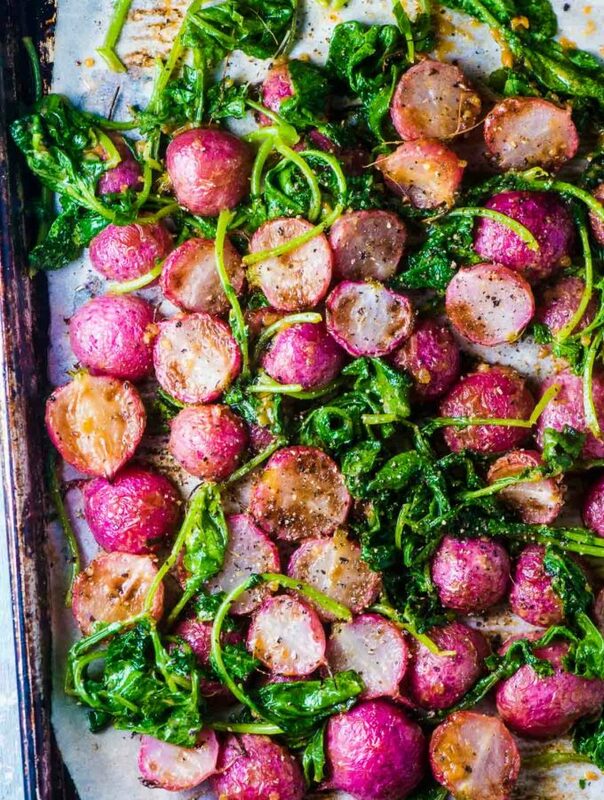 Curl up on your couch with Netflix and this plate of feel good deliciousness. 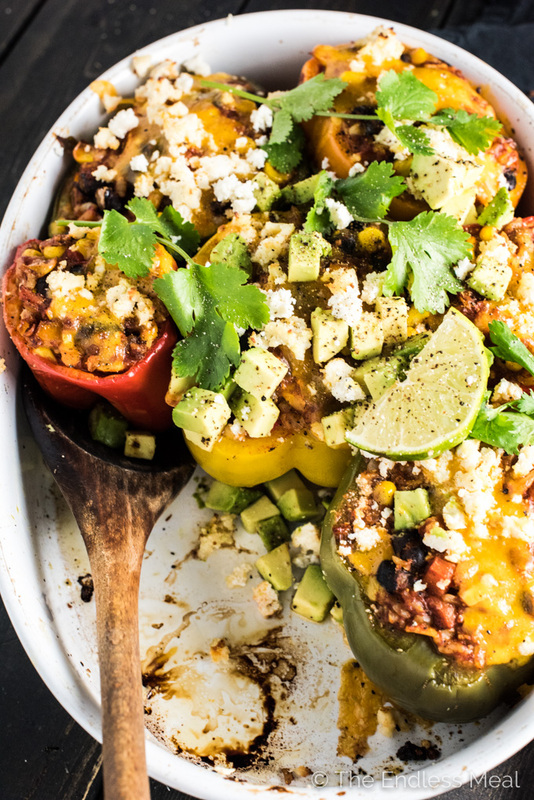 These babies are called Enchilada Stuffed Peppers and they're the ultimate, lightened up Tex-Mex remake. They are everything Meatless Monday dreams are made of. Last year, I (finally!) jumped on board the enchilada train. Seriously guys, I don't why it always takes me so long to figure out what everyone else in the world already knows. No cutting edge, trend setting food blogging going on here. ? But … once I jump on board I often get a little carried away. You with me? Enchiladas for breakfast, lunch, and dinner, anyone? ← Not even joking, I have a breakfast enchilada recipe I'm going to share with you soon. I'm not sure whether I should be proud of myself or embarrassed. Let's go with proud since enchiladas = awesome. 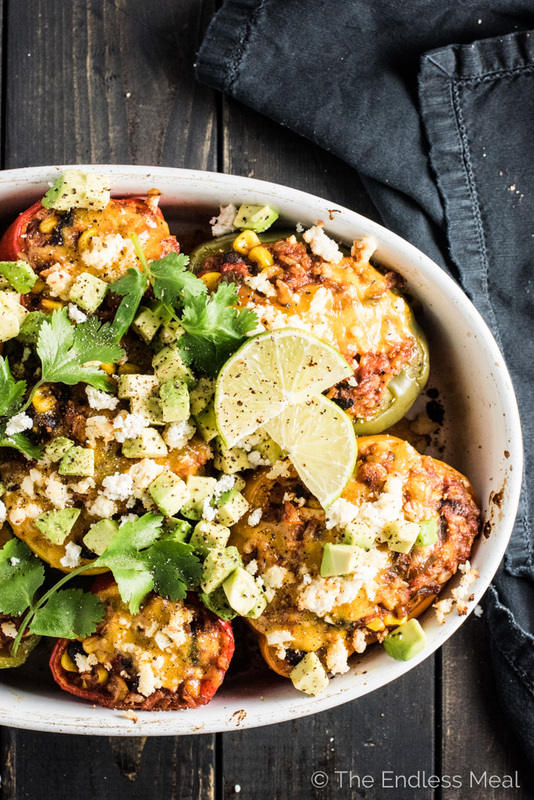 If you make these Vegetarian Enchilada Stuffed Peppers make sure you snap a pic and tag #theendlessmeal on Instagram so I can like and comment on your photos. I love seeing TEM recipes you create! Place the brown rice in a small pot with 2 cups of water. Bring to a boil then reduce the heat to low, cover the pot, and let it simmer for 40 minutes, or until the rice is tender. Place all the enchilada sauce ingredients into a small pot and bring it to a boil. Reduce the heat and simmer until thick, about 10 minutes. Preheat the oven to 420 degrees. Drizzle a little oil in the bottom of a casserole dish. Cut the tops off the peppers, remove the seeds and membranes, and place them in the casserole dish. Finely mince the pepper tops. 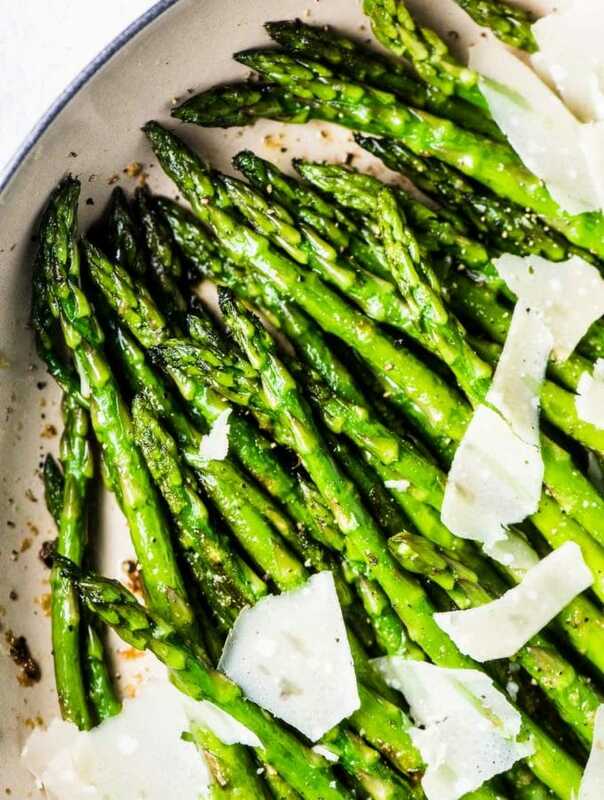 Heat the olive oil in a large, non-stick frying pan over medium-high heat. Add the onion and cook for 5 minutes, add the minced pepper tops, garlic, and carrot and cook until the carrot is soft, about 5 minutes. Add the cooked rice, beans, corn, and enchilada sauce to the pan and mix everything together well. Set aside 1/2 cup of the cheese and stir in the rest. Stuff the peppers then sprinkle the remaining cheese over the top. Cover the casserole dish with aluminum foil and bake in the preheated oven for 35 minutes. Remove cover and bake another 10 minutes. You might notice that there are 8 peppers in the pictures, but only 6 listed in the recipe ingredients. The day I went shopping, the red peppers were tiny. 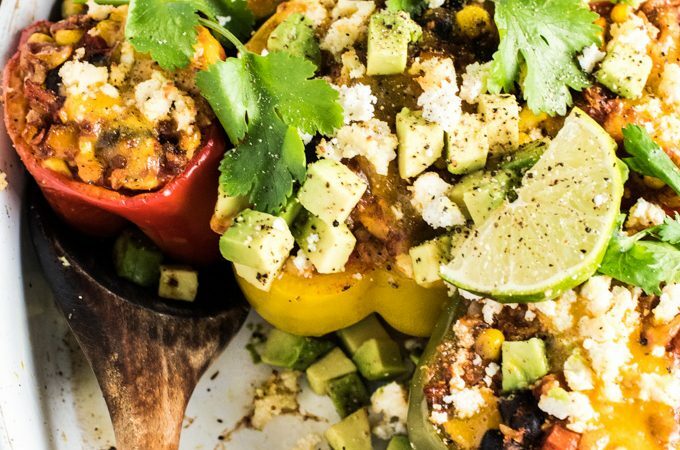 This recipe stuffs 6 regular sized bell peppers. 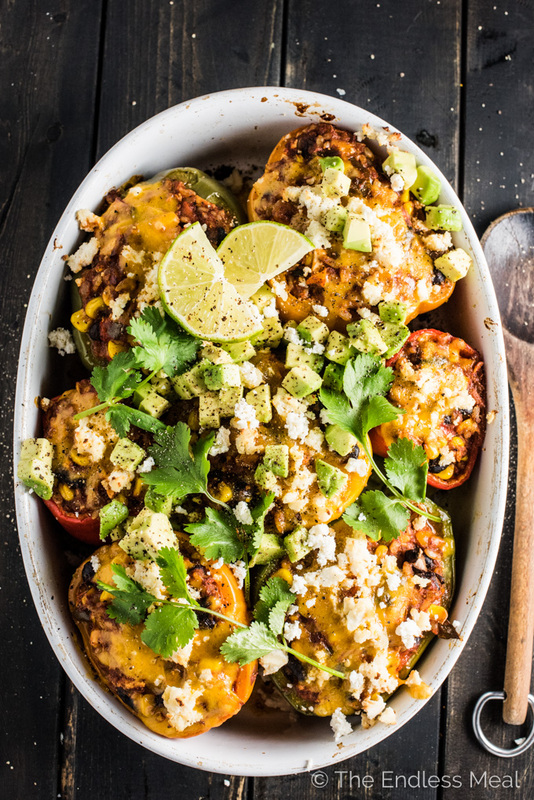 Was looking for a simple veggie enchilada stuffed pepper recipe – these were great! Super tasty. I didn’t have any crushed tomatoes so I used some canned diced tomatoes and immersion blended the enchilada sauce before adding it to the mixture. I also steamed the peppers for a bit in the microwave before stuffing them. Thought I would miss the meat, but these were very filling! Thank you! I’m so happy to hear you liked them!! they freeze great. would like the nutritional information about them please on WW. Thank you so much for letting us know! That’s great news! Very good, and very filling. I made mine a little ahead of time, and I imagine you could even make them in the morning and just refrigerate them until baking time. Would be interesting to try to freeze these. Thanks for a good recipe! They’re more filling than they look, aren’t they?! So happy to hear you enjoyed them. If you try freezing them I’d love to hear if they’re ok.